A Powerpoint presentation, over 200 slides long, giving comprehensive step by step instructions (a few examples below), you will need Microsoft Powerpoint and Microsoft Word software or similar to run this Powerpoint Presentation, they will also work with Microsoft Powerpoint Viewer and Microsoft Word Viewer free downloads from Microsoft)). A free sample from my Song Book and its associated sound file. A free pentatonic tuner software for your pc/laptop. 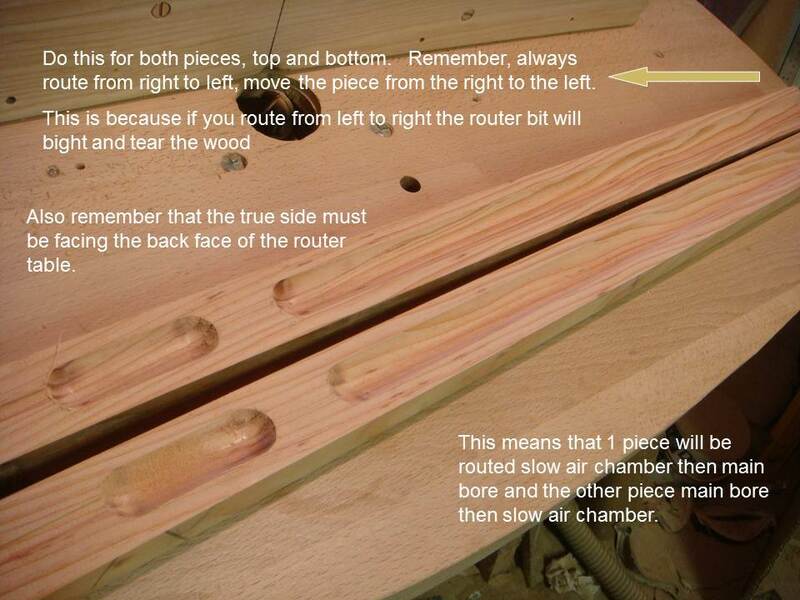 Information on how to tune your flute and how to look after it. 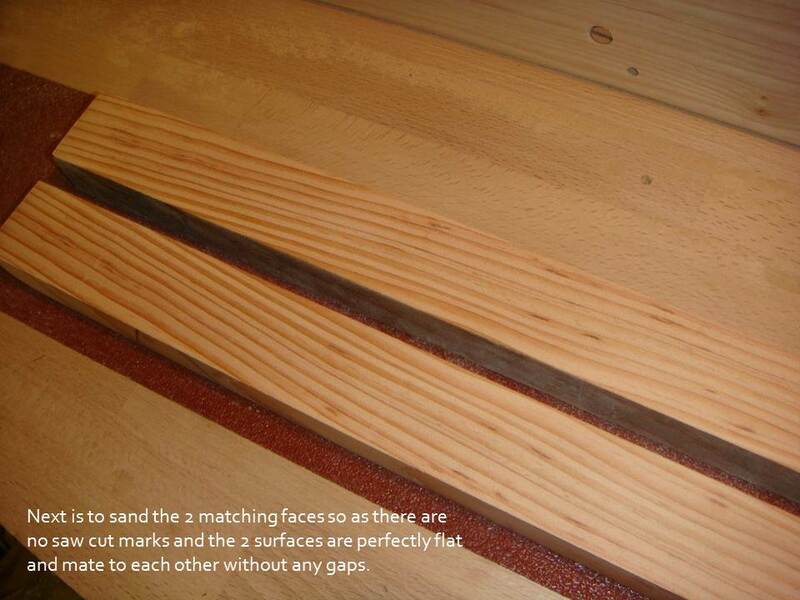 Below are some examples from the Powerpoint Presentation on how to make the Native American Style Flute. 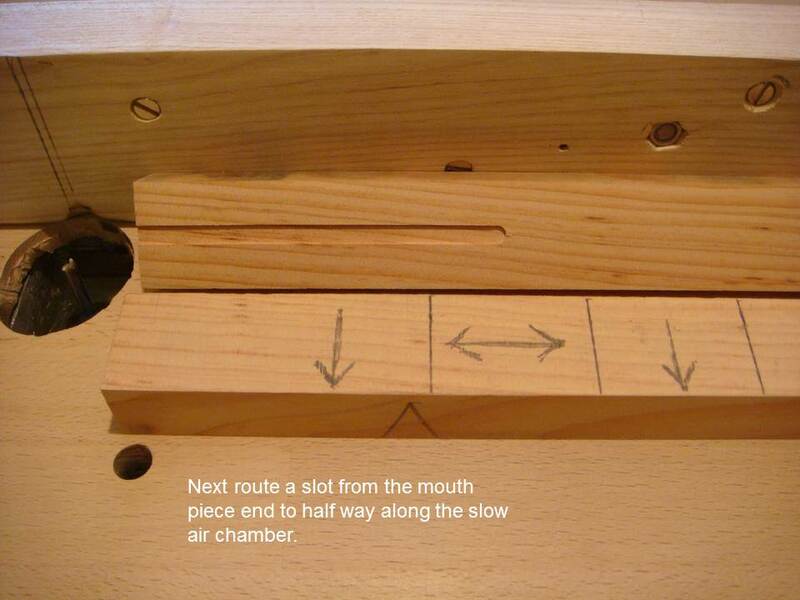 This presentation is over 200 slides long, gives comprehensive pictures and instructions on how to make the flute using basic hand tools and some power tools. It is about 2GB of information and comes on a DVD. 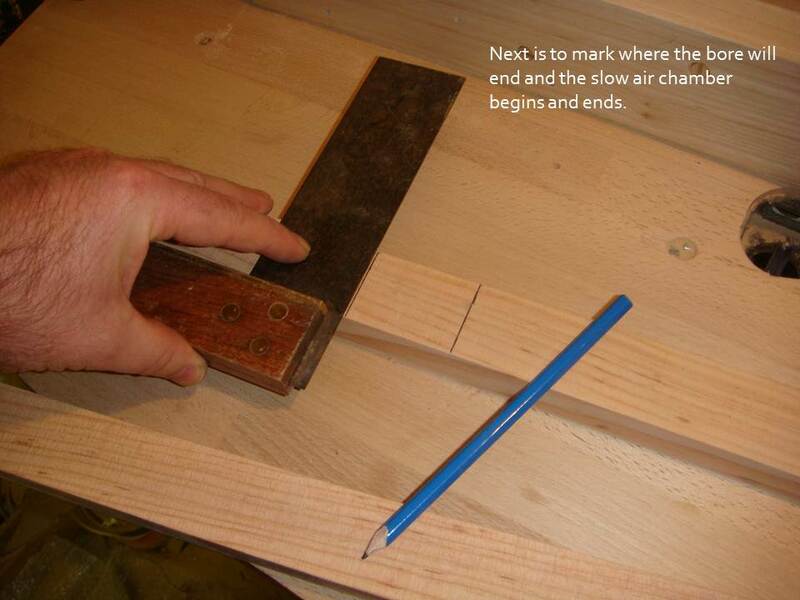 It also includes 15 amateur videos of the various processes. 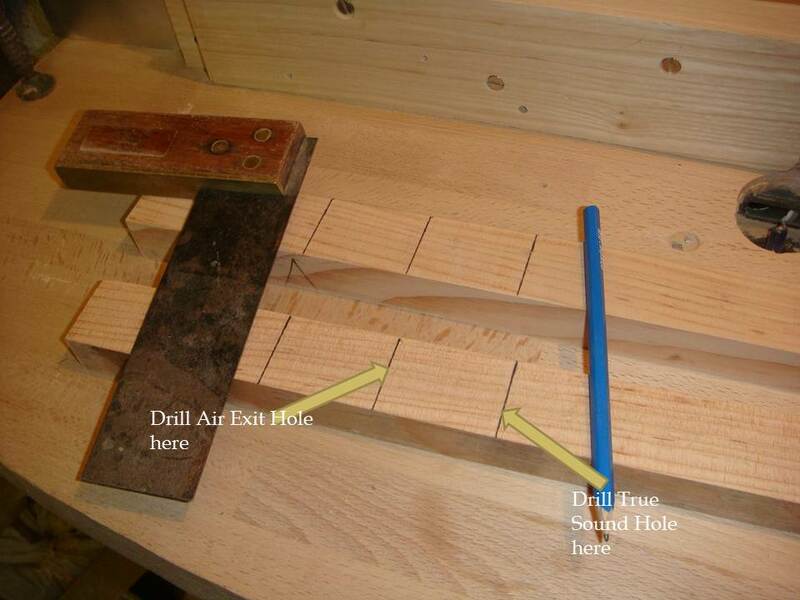 The video below shows an alternate method to bore/drill the Air Exit and True Sound holes from that shown on my DVD on slides 32-34 and the picture below that shows which lines to line up.